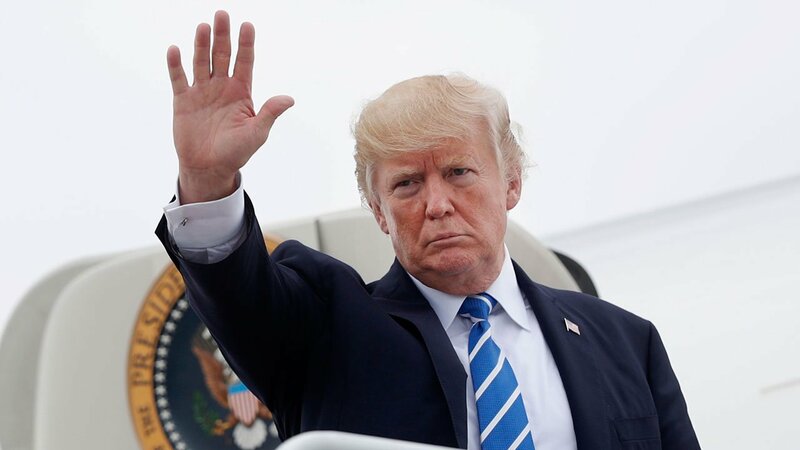 WASHINGTON -- President Donald Trump will outline the United States' "path forward" in Afghanistan in a speech Monday night, the White House announced Sunday. Trump's address, scheduled for 8 p.m. CST Monday at Fort Myer in Arlington, Virginia, comes as Trump and Secretary of Defense James Mattis have said a decision has been made on a new US strategy in Afghanistan. Earlier Sunday, Mattis confirmed a decision has been made, but declined to offer details about the decision, saying Trump would choose when to make the announcement. "He wants to be the one to announce it to the American people," Mattis said on Sunday, later adding, "He now needs the weekend to collect his thoughts on how he's going to explain it to the American people." Trump tweeted Saturday that an Afghanistan strategy was one of the issues decided upon at a meeting with top administration officials at Camp David on Friday. Mattis said Sunday that the strategy covered more than Afghanistan and was a full "South Asia strategy." Trump's team has been working on a new US strategy in Afghanistan for months now. Mattis told the Senate Armed Services Committee in June that he would be able to present a strategy for victory there in mid-July. But the deliberations continued past that deadline, and Mattis said last Monday that the administration was "very, very close" to a decision after presenting Trump with a wide range of options, including everything from a surge of troops there to a full withdrawal. During the strategy review, outside voices tried to present their own visions for Afghanistan. Arizona Republican Sen. John McCain presented one that would involve an increase in US troops and further airstrikes, while Erik Prince -- the founder of the security company Blackwater -- pressed the US to move its strategy largely over to the private sector. The shift in US strategy would mark the latest of many chapters in the long-running operations in Afghanistan. In the wake of the September 11 attacks, the US led an invasion of the country to topple the Taliban from power and eliminate a "safe haven" for al Qaeda. The war eventually became the United States' longest in history, and in 2014 President Barack Obama declared an end to combat operations. Nevertheless, US support for the new Afghan government continued, and as of 2017 the Taliban remained a powerful force in the country. Gen. John Nicholson, commander of US forces in Afghanistan, said in February that the US and Afghanistan were at a stalemate with the Taliban. In April, the United States dropped the "Mother of All Bombs," one of the nation's largest non-nuclear weapons, in Afghanistan. Trump delegated authority to Mattis over troop levels in Afghanistan, and on Sunday, Mattis declined to say how troop levels would change until the President had the chance to make the new strategy public.